Ensure your curriculum vitae (CV), your professional resume, is prepared, accurate, and up to date. 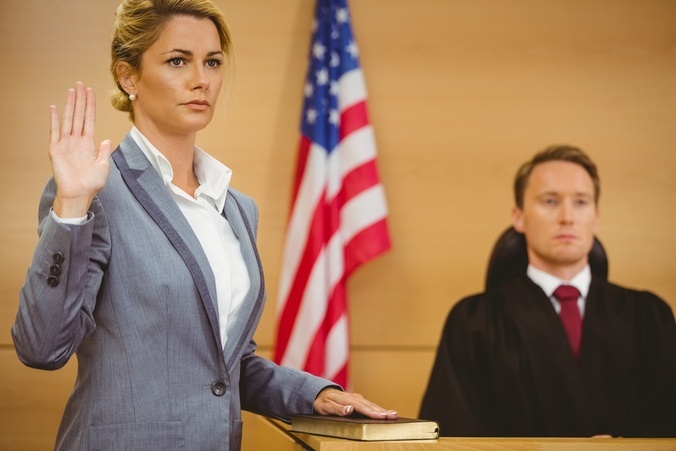 The first portion of your testimony is the voir dire, or qualifying questions phase. A current, thorough CV will ensure you are prepared to answer any questions that might arise regarding your qualifications. Visit the courtroom ahead of time to familiarize yourself with the layout and location. Is there audio/visual equipment available? Where will the jury be sitting? Where will you sit? Where is the waiting area? Where are the bathrooms? Where is it permissible to park? Prepare visual aids. Jurors, like all individuals, learn in different ways. Using different teaching techniques will help you to educate and captivate the entire jury. Practice teaching the science behind your analyses. Start by writing it down, then practice with both your colleagues and non-forensics individuals such as a sibling, spouse, or friend. Ask for feedback, and use the constructive criticism to fine-tune your explanations. Review your materials thoroughly, and make any necessary corrections immediately. If corrections are made, immediately notify your supervisor and the attorney who subpoenaed you. Use anecdotes and examples. This is another great teaching technique! Always portray a confident, professional demeanor (even if you aren’t feeling so confident on the inside). Dress professionally, and sit up straight with your head held high. Insist on a pre-trial interview with the attorney who subpoenaed you. Use that opportunity to provide the attorney with your qualifying questions and the critical details of the case and to educate him or her about your science. You can even provide your own suggestions for direct examination questions. Stay current in your science. You can do this by attending professional courses, conferences, and reading forensics journals. TRITECHFORENSICS Training offers the above courses with moot court components to fine tune your skills and assist in preparing you to succeed as an expert witness. For more information about scheduled courses, visit our upcoming courses page.